Agencies may be working hard to modernize their legacy IT systems, but the reality is the Federal government may have to consider leaving the business of information technology to the private sector, according to Roger Baker, former chief information officer for the Department of Veterans Affairs. “What Federal CIOs are dealing with are so many years back from what the private sector is dealing with,” said Roger Baker. Baker, who spent 15 years in government, stepped down from the VA CIO post in 2013. During his tenure, the agency never realized how far behind the public sector it was, he said. Baker’s comments come less than a week after Rep. Will Hurd, R-Texas, reintroduced the Modernizing Government Technology Act, which would provide for a $250 million fund for IT modernization. Hurd said that once agencies save the money that they borrow from the fund, they’ll be expected to pay the money back. Baker, however, is not convinced that the MGT Act can lead to fundamental change. “If you save the money why do you need it?” Baker said. Baker said that when he was at the VA, he had $750 million worth of systems that were on their last leg. Therefore $250 million won’t bring about much change over the legacy IT infrastructure. Rod Turk, acting CIO of the Department of Commerce, said that the MGT Act will change the way agencies’ IT departments manage their projects because the IT staff will have to specify what systems need the biggest update at the cheapest costs. “It’s going to drive some positive behaviors when it comes to the planning process, when it comes to the budget process,” Turk said. 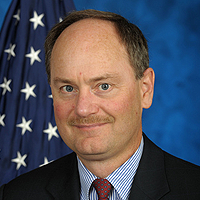 Joe Klimavicz, deputy assistant attorney general and CIO of the Department of Justice, said that his agency spends about 80 percent of its IT funding on maintaining legacy systems and it will be beneficial to have a fund to modernize those systems in order to save money in the long term. “It’s great that there’s bipartisan support for such an important bill,” Klimavicz said. There has been a lot of cloud talk, but how are agencies putting it into action? Where is cloud making a difference in terms of agencies’ mission effectiveness? What tangible results are agencies–and their budgets–realizing from moving workloads to the cloud? Join government and industry thought leaders on Wednesday, June 7, for the 2017 Cloud Computing Brainstorm at the Newseum as we discuss how cloud can help make government IT great again.